Whether you’re relocating your residence or business across town or around the world, the Berwyn movers at Pickens-Kane have the experience and expertise to ensure a successful relocation. Since 1914, we’ve been providing professional moving services in the region, and over the years, we’ve earned a reputation for superior customer service and competitively priced moving solutions. As a proud agent of Allied Van Lines, we have the capabilities to relocate you anywhere in the world! While not as complex as a long-distance move, local moving in Berwyn provides its own unique challenges. With decades of experience in the region, our local movers have extensive first-hand knowledge of the Berwyn area and strive to provide residential and business customers with exceptional relocations from start to finish. At Pickens-Kane, we want your residential moving experience to be as stress-free as possible. From the start, we’ll work with you to determine the right moving services for your family—at a competitive, guaranteed price. No matter where your relocation takes you, you can rest assured that you’ll receive superior service throughout the entire moving process. Rather than attempting to move your heavy furniture and appliances down narrow stairwells, enlist the Berwyn apartment moving professionals at Pickens-Kane for a seamless relocation! We’ll take extra care to keep your belongings safe and secure—and use doorway and carpet protection to prevent damage to your apartment. 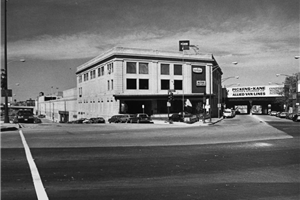 With more than one million square feet of storage space in our secure, climate-controlled warehouse, we can meet the moving and storage needs of any Berwyn household or business. From storing season items to free up space in your garage to keeping office equipment secure during a renovation, our innovative storage solutions will exceed your expectations. 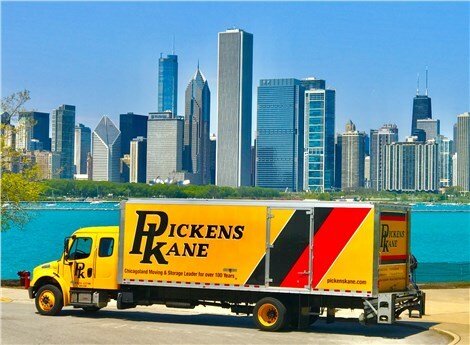 For a hassle-free relocation anywhere in the world, look no further than our premier Chicago moving company—Pickens-Kane! Give us a call today to learn more about our services, or fill out our simple online quote form now to request an estimate.